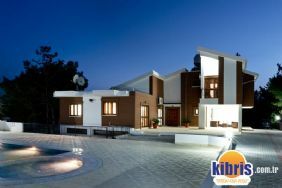 This interesting property offers very satisfactory self-catering accommodation twinned with a perfectly peaceful location, just 5 minutes’ drive from the most beautiful city in Northern Cyprus. 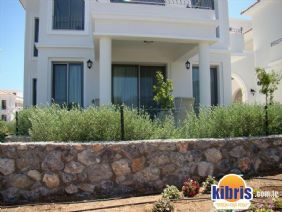 This well appointed villa enjoys an ideal location just off a small country road leading down to small Karakum Bay, ideal for those wishing to explore the surrounding area. Villa Shalom has been furnished to a modern, tasteful standard throughout. The design is such that each bedroom receives sun, either in the morning or in the afternoon, and to ensure complete quiet at night. The swimming pool provides an opportunity to relax and enjoy the sun shine. There are plenty of comfortable loungers to place around the pool and take in the sun.